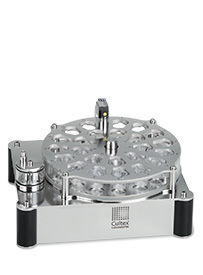 The CULTEX® LTC-C is the innovative solution for fully automated cell cultivation at the air-liquid interface (ALI) and allows cultivation periods of up to several weeks in continuous operation. Up to four incubator modules can be operated simultaneously. The main application field of the CULTEX® LTC-C is the generation of comparable cultures for mechanistic and toxicological studies. 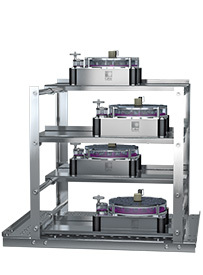 A rack system for an optimal installation of up to four CULTEX® LTC-C modules inside an incubator.